Mythology never ends. Many people live by it today under its name “religion,” and many in the ancient world endlessly recycled their gods until they ended up looking rather unrecognizable from their earlier forms. I was, therefore, intrigued when a friend asked me about Herne the Hunter. Herne is a mythological character about whom I had not heard. The earliest reference to the stag-antlered deity comes from William Shakespeare, and he has been co-opted by the Wiccan community, nicely tying together many of this week’s posts. So, whence Herne? Shakespeare seldom invented ex nihilo, but rather adapted. Herne, already an established character, was a wrongly accused poacher who was hanged from a great oak in King Richard II’s England. He had been magically revived after a near-death experience earlier in life and had been crowned with fantastic antlers at that time. The horned head has reminded some Celtic mythologists of Cernunnos, a horned chthonian god attested in mainland Europe but not found in the British Isles. Yet others, by virtue of his being hanged on a tree and the similarity of his name to the epithet Einherjar, suggest Herne may have evolved from Wotan, or Odin himself. 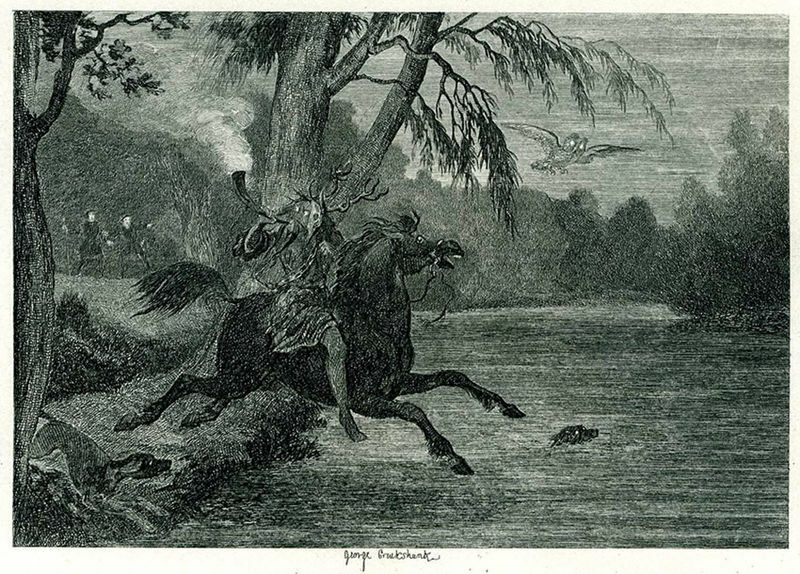 Woden was involved in the “Wild Hunt” episode of northern and central European mythology, and since Herne is a hunter, well, isn’t the connection obvious? Such tales as this are instructive of the way that religions evolve. We know very little of the true origins of the story, but later versions become canonical. The present-day version is perceived to be “historical” and all others are merely coincidence or happenstance. Today Herne is a typical ghost story of Windsor Forest, and those who report seeing him say he still wears his supernatural horns. Those who want to discover his origins are left with a handful of books by publishers of the occult and hundreds of unanswered questions. 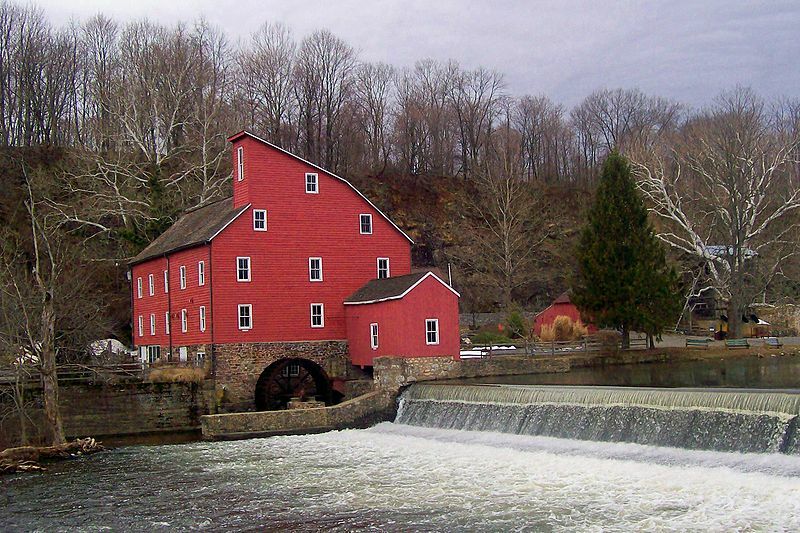 Clinton’s Red Mill is a popular New Jersey attraction, but numerous reports of paranormal activity have thrown an additional lifeline to the museum in the form of much-needed revenue in the form of seasonal ghost tours. Last year about this time my family and I participated in one. Touring the old grounds at night can certainly lead to spooky experiences, even for those of us who sit on the fence about ghosts. We discovered that The Atlantic Paranormal Society, the “TAPS” of Ghost Hunters fame, had investigated the Mill the previous year. We watched several episodes of the popular show, and for a lark, my wife bought me a subscription to TAPS Paramagazine for my birthday. All in good fun. I always thumb through when it arrives, but it is hard to take much of it seriously. The last issue (volume vi, issue 2), however, contained an article about Demonology. Now, I thought I had graduated from The Exorcist and the Exorcism of Emily Rose to a healthy skepticism, but I could not resist reading this article. The first statement declares, “A demon is a fallen Angel that rebelled against God along with Satan, refusing to be humble before, and serve, God” (Adam Blai). While I never make light of things I don’t understand, I did consider the fact that the concept of demons, which derives from a Judeo-Christian mythology, presupposes a mythic war between the powers of good and evil. At the same time, I have been reading up on the Zoroastrians, one of the oldest continuously practiced religions in the world. There can be no serious doubt that the Judeo-Christian tradition borrowed the concept of the demonic from their Iranian neighbors of the ancient Persian Empire. The implications of the Zoroastrian connection are profound. If the ancient sage and Afghani priest Zarathustra was correct about the dualistic conflict of good and evil, was he not also right about Mithra and the Amesha Spentas as well? Zoroastrianism gave the Judeo-Christian tradition its base concept of Heaven and Hell, but the divinity of fire they did not accept. By picking and choosing what fit best into its experience, Judaism developed into a religion that allowed for Christian demons and angels and all the invisible hosts of the ethereal realms. Today many Christians accept demons as literal beings (less so jinns, although Clash of the Titans (2010) allowed for them). 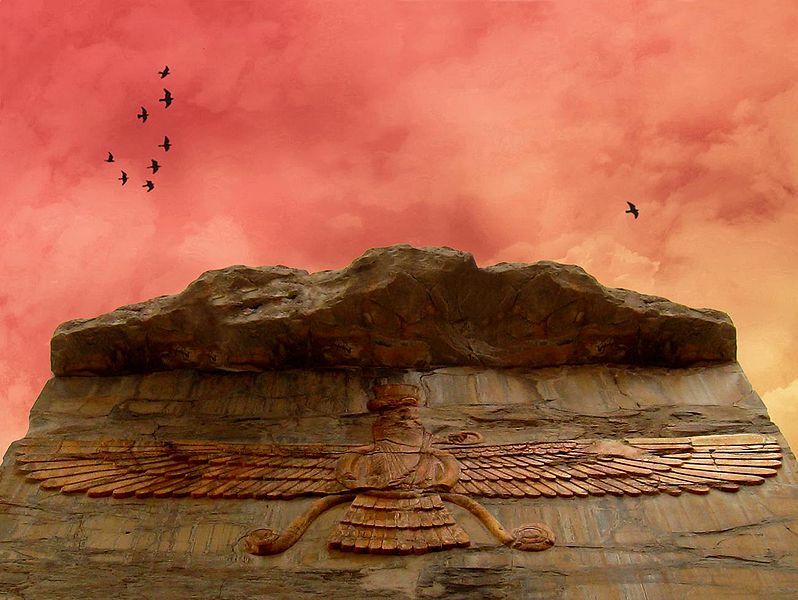 What does this say about the remainder of Zoroastrianism? Perhaps Ghost Hunters should begin with the Gathas and move on to the Avesta? As for me, I’ll be over here, sitting on the fence. The Bible is the most quoted book never read. That is, many people love to quote it without actually reading it all – yes, even Chronicles and Leviticus! The result is that the Bible itself has become a thing of mystery, a magical source of divine power with which the strong may subdue the weak, or by which politicians might win the most powerful office in the free world. The Bible is more dangerous than any weapon its believers may construct, for it is the source of the mandate, the writing that is so much more than ink and paper. Over the years so many myths have grown about the Bible that it has become a mythical creature. Students often approach those of us who teach the Bible with amazing stories that defy explanation, or sometimes, that are just fun. This past week a student paper waxed eloquent on how the Bible physically describes Satan. It does not. The Bible tells us very little about what anyone looked like! One Bible myth that I have tried unsuccessfully to substantiate or debunk over the years, however, continues to elude me. It is the story of Psalm 46 in the incomprehensibly influential King James Version. The KJV was completed in 1611, and William Shakespeare died in 1616. 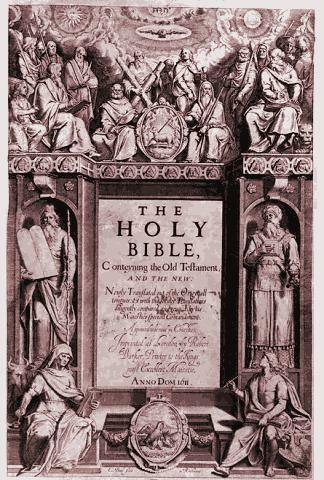 There is no evidence that Shakespeare was among those with any responsibility for translating the Bible, but his influence in England in his own lifetime was enormous. Many years ago a student informed me that Shakespeare made his way into Psalm 46. The forty-sixth word of the KJV translation is “shake.” Counting from the end of the psalm to the forty-sixth word from the end, one finds the word “spear.” So the gematria of the psalm give us the name of the putative translator. This story has all the signs of an apocryphal account of a Bible reader with too much time on his or her hands. If the story is true, I would love to see documentation. Otherwise it is one more monument of the power of book that few dare to read. Students in my mythology class had to research and write about a deity from the ancient world. I was pleased that one of them chose Hecate, a misunderstood goddess of obscure origins. Hecate overlaps with other deities in her spheres of influence and her many roles, a sign that she was an early goddess adopted into the Greek pantheon at a stage before Artemis, Selene, and Persephone took over her connections with the moon and underworld. She was a guardian of crossroads, a task later attributed to Hermes – a god who also became a psychopomp. Hecate was left to languish in Hades where she became associated with gloom and magic and baleful spells. It is likely the latter developments that have brought Hecate into the status of patron goddess of many Wiccans. She is chthonian – a right jolly old Goth – and she takes on a bad-girl image that would not have been recognized by the ancient Greeks. Even Shakespeare contributed to her witchy-woman image when he associated her with the weird sisters in Macbeth. Revitalized as a symbol of feminine power, Hecate enjoys such popularity today that it is difficult to find reliable information on the goddess. I find it instructive that ancient goddesses are so embellished to make them tasteful to modern explorers. Perhaps because of the persistent patriarchality of ancient society, we have been deprived of deep knowledge of the goddesses. For those who originally worshiped them, however, the goddesses needed no blandishments. They were the personification of divine power manifested through the feminine. Ancients believed that all people were touched by supernatural forces, no matter what their gender. In a brash demonization of the powerful feminine, Hecate has become the goddess of witches and seekers after a female image that simply never existed. Why not accept goddesses for who they were – constant reminders that life is not possible without the divine feminine? Byline: Yazoo City, Mississippi. Event: major tornado. Suspects: God. In the face of any tragedy, whether it be killer tornadoes or Christie’s budget, God is always implicated. It is the white god’s burden of monotheism. I am the last person to make light of tornadoes. 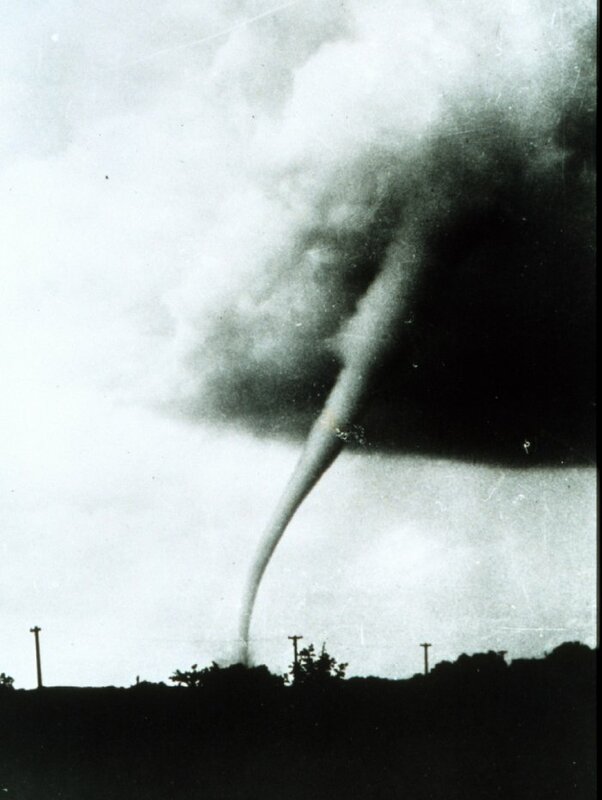 Many a nightmare and sleepless night in Wisconsin were haunted by the loud, roaring gusts and twisted detritus mangled by apparently willful winds. Erratic fluid dynamics of violently spinning vortices of air are often chalked up to the divine. No less so in Saturday’s tornado outbreak. An Associate Press article begins, “One prayed to God under a communion table as his church was blown to pieces around him.” The article goes on to note that a ravaged hymnal lay open to the page with “Till the Storm Passes By,” as if there were a divine message inscribed on a chance event of nature. One of the hardest lessons to accept is that nature cares nothing special for our species and that we are offered no guarantees in life. This is one of the reason religion is so powerful: here the faithful find divine-bound guarantees of at least a peaceful afterlife if the present life is torn apart by storms both physical and metaphorical. It is hard to struggle without an assurance of final victory. I have contended for years that the association of the divine with the weather is intimate and tenacious. The weather has eluded human control well into the space age, nuclear age, and technological revolution. We still can’t stop the rain on Sunday’s picnic or festival. And so we pass the weather on to the CEO in the spiritual chain of command. God controls the weather, while we crouch under rickety communion tables. There is a deeper lesson here, for those willing to sift through the rubble. It is not often that the military gets to rebuke an evangelical, no matter how much the evangelist may deserve it. In the world of Christian crusaders few come close to the stature of Billy Graham, a man who has had more than half a century of undue influence on American culture. At a library book sale a couple weekends ago a middle aged-couple hovering over the religion books (where I have professional obligations to hover) were discussing how they’d read all of Billy Graham’s books. When the family business passed to Franklin Graham, however, the scepter failed to be firmly grasped by the blushing co-regent. At the center of controversy since his comments about Islam beginning in 2001, Graham the younger was recently stricken from the (apparently) prestigious Pentagon prayer service roster. I have to admit that I was surprised to learn that the Pentagon has a regular prayer service. My image of the military is one of beefy guys (and some gals) with ultimate confidence in their weapons and more than enough brashness to go around. They don’t project the down-on-your-knees-before-the-almighty image. “Guided by the beauty of our weapons,” as Leonard Cohen once sagaciously quipped, the military gets first crack at technological advances and heavy metals. The basic components of carnage and devastation. Yet they pray. 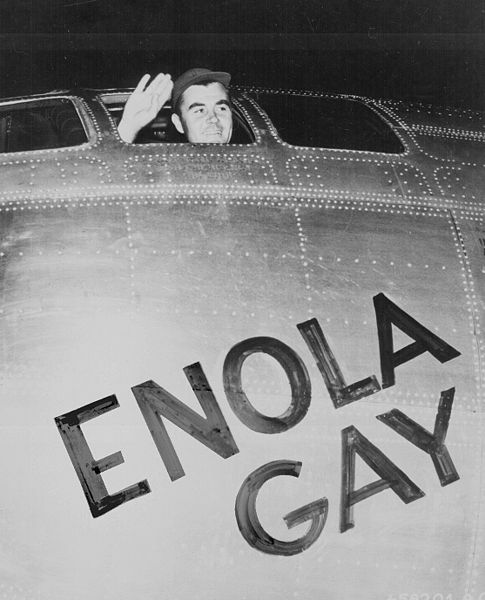 The old adage that there are no atheists in fox-holes glosses military service with a divine prerogative, so when these tough guys rebuff a famous evangelist there must be a story behind it. The military’s refusal to dis Islam displays a sensitivity uncharacteristic of most evangelical rhetoric and theology. The Religious Right’s revisionist claims that America was founded as a Christian nation are impotent without their WMD. Even so, the program should continue. “I don’t think it’s quite fair to condemn a whole program because of a single slip-up,” do you? It is Earth Day, a holiday that all the world should join hands to celebrate since it is secular and concerns all people. Except the religious. Theologies are inured to common celebration; any admission that others might be right is a chink in the implacable armor of conviction. So it was not such a great surprise when an Iranian cleric this week blamed Iran’s earthquakes on women. Fuming like Eyjafjallajokull, the imam cited immodesty on the part of women as leading men to temptation and the very earth whose day we celebrate shakes in rage. Why it is that the burden to prevent sexual temptation should fall on women alone is unfathomable. If men have such trouble controlling their urges perhaps they ought to explore real estate on Mars, although it is doubtful they would be happy there. The earth, our common home, was conceived to be female by many ancient societies. The Greeks of the Classical era called her Gaia and gave her the honor of being the earliest deity to emerge from Chaos. In the Bible, desexed and depersonalized, the earth was constructed on the first three days before any living inhabitants cluttered its pristine surface. With the drive of Christian conviction that this unruly mother should be subdued under human dominion the industrial revolution began a process of disrobing and dismembering Gaia, an impersonal “it” to be exploited. The Bible could be cited as demanding such action; we were commanded to take control. And our religions provided the ethics to underscore our mandate. 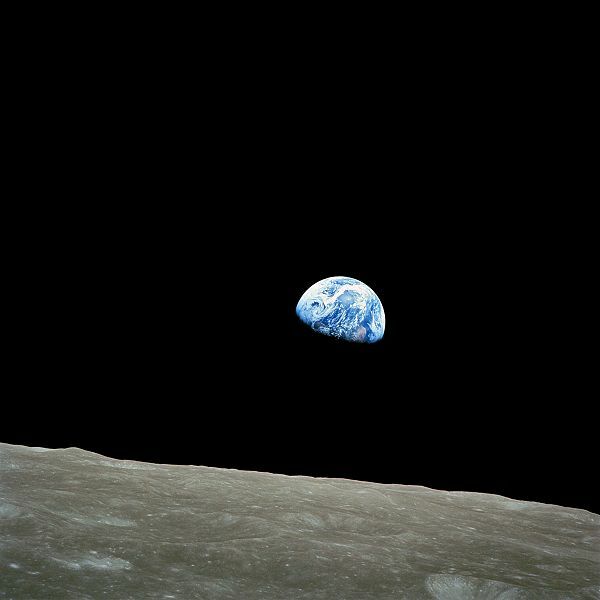 If not for the second great awakening in the 1960s, Earth Day would never have found its fundamental expression. We would continue subduing and dominating, as per Genesis 1, until the great white man above would be forced to send his son on a great white horse to end it all. But the earth is our mother. The missing woman from the all-too masculine Trinity. Instead of blaming her daughters for the unstoppable lusts of her sons, and instead of repeatedly defiling her to keep up with the Republicans, we should take a moment today to honor her. She is the only such mother we have.